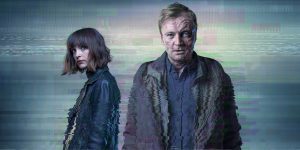 The trailer has started showing on BBC1 for the new drama Rellik which looks amazing. It will be aired next month. I have added this fantastic new promotional image to the gallery here.